The six months of the year 2016 completed. 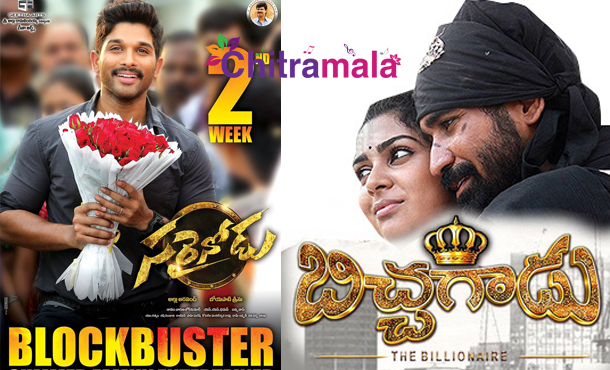 At Telugu box office, in this six months time, 90 straight Telugu films have come, and 34 dubbed films have released. A total of 124 movies released to provide entertainment for us. But the end result of the six months is really not satisfying. Except for a few films, all other films flopped big time. Except for Sarrainodu and Bichagadu, there are no big movies. A total of 14 films out of 90 films became hits. Sarrainodu tops in the 14 films. At the same time in all the dubbing films released, Bichagadu created a history and made huge money at the box office. The film is still running successfully and is minting money. On an average, the box office performance of Telugu Cinema for the first half of the year is poor.